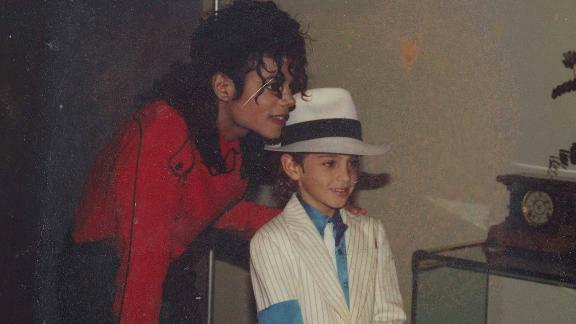 The two-part HBO film "Leaving Neverland" reveals unsettling allegations of sexual abuse against Michael Jackson. The Jackson family has denied the allegations and sued HBO. The first part of the two part HBO documentary aired Sunday night and delivered some bombshell allegations. The film examines disturbing claims by James Safechuck and Wade Robson that Jackson sexually abused them over a period of several years when they were children. Jackson's family has denied the allegations and condemned the documentary, calling it a "public lynching" and Jackson's accusers "admitted liars," in reference to sworn statements made by both Safechuck and Robson while Jackson was alive that he did not molest them. The family also said in their statement that "Michael was subjected to a thorough investigation which included a surprise raid of Neverland and other properties as well as a jury trial where Michael was found to be COMPLETELY INNOCENT." In 2003, Jackson was charged with seven counts of child molestation for allegations from a cancer-stricken boy invited to the star's home. The boy said he was 13 when Jackson served him alcohol and fondled him. Jackson was acquitted of the charges. None of Jackson's family members or supporters were interviewed for the documentary. Safechuck, 41, was around 9 years old when he met Jackson while filming a Pepsi commercial with the pop star. Safechuck and his mother went on tour with Jackson, where the boy would dance on stage with the singer. Robson, 36, became enthralled with Jackson after Robson's mother showed him the "Thriller" video. A five-year-old Robson won a dance contest in his native Australia and the prize was meeting Jackson. Robson reconnected with Jackson about two years later when he moved to the United States as part of a performance group. Safechuck claimed that he and Jackson exchanged vows in the singer's bedroom when Safechuck was a child. He told filmmakers of a "wedding ring," and showed jewelry he said Jackson gifted him. "We would pretend my small hand fit whatever female we were buying it for," Safechuck said. "I was really into jewelry and he would reward me with jewelry for doing sexual acts for him." According to Safechuck, Jackson conducted "drills" to prevent anyone from witnessing the alleged abuse. "He would run drills with me where we'd be in the hotel room and he would pretend like somebody was coming in and you had to get dressed as fast as possible without making noise," Safechuck said in the film. Safechuck described locations at Jackson's ranch where the alleged abuse took place, including an attic and a movie theater, where they would be alerted if someone was coming. "It happened every day," Safechuck alleged. "It sounds sick, but when you're first dating somebody, you do a lot of it." Robson said Jackson made it clear that there would be grave consequences for both of them if the alleged abuse was discovered. "If anyone ever found out that we were doing these sexual things, we would go to jail for the rest of our lives," Robson said Jackson told him. Both Safechuck and Robson said they felt that other boys eventually came to occupy their places in Jackson's life. Safechuck said Jackson told him he would begin to see the singer with other boys. He recounted a story of sleeping on the couch at Jackson's home while the star allegedly shared his room with another boy, leaving Safechuck feeling like he had been "cast out." Part II of "Leaving Neverland" airs at 8 p.m. EST on HBO, which is owned by CNN's parent company. Can 2020 Democrats learn Trump's 2016 strategy?